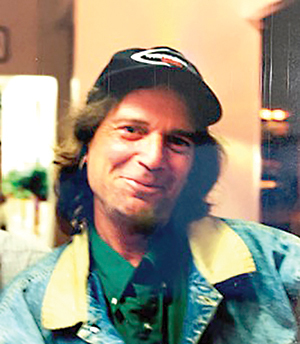 Thomas Everett Booth, 67, was a lifelong Long Branch resident, except for two years spent in California in the early 1960s. Known for his long hair and laid back style, Tom lived in the same home on Charles Street for more than 60 years and he grew up playing stickball and softball at the Church Street School. A land conservation advocate, he was instrumental in saving and preserving Jackson Woods, an 11-acre passive park in Long Branch that had been slated for condo development prior to Tom’s intervention in the mid 1980s. He later served more than 20 years as overseer of Jackson Woods as a member of the Department of Public Works for the City of Long Branch. Tom also worked for the city in other capacities as a Grantsman as well as Director of the city’s Community Gardens Program. Prior to his time with the city, Tom was a multi award-winning opinion writer for the Atlanticville newspaper, where his column ‘Under The Boardwalk’ appeared weekly from 1986-1991 and where he steadfastly promoted his land-conservation agenda and championed Jackson Woods. Tom was famous for sneaking into Bruce Springsteen concerts, teaching anyone who would listen about Bob Dylan and could always be found reading the New York Times with a cup of coffee at Johnny’s Luncheonette and, after that closed, Fanagle the Bagel. Tom was a passionate Yankees fan who, when he moved cross-country as a 10 year old boy in 1961, brought nothing but a shoebox of Yankees cards as luggage. He spent his final Opening Day at home with family and friends smiling and laughing as he watched the Yankees win at home. He can Rest In Peace with his team in first place. Tom was predeceased by his father Thomas, mother Helen and brother Jeffrey. He is survived by his brother Mike, sister Patricia, nephews David, Shaun, Paul and Charles Booth, Shay O’Neill, niece Rachel O’Neill, grand nieces Alexa Booth, Charlotte and Kennedy Ross and grandnephew Alec Booth, sister inlaws Shannon Booth and Eileen Booth and brother inlaw Walter O’Neill and his cat Misty. A memorial service will be held in Jackson Woods, Sunday April 7, at 1pm. If you would like, bring a flower to plant.